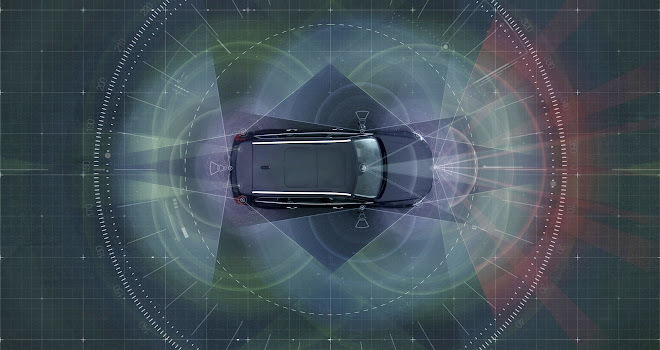 Volvo Cars and Autoliv (a supplier of components such as cameras, radars and night vision systems) have created a joint venture company called Zenuity to develop technology for autonomous vehicles (AVs). Dr Erik Coelingh is technology advisor and vice president at Zenuity. 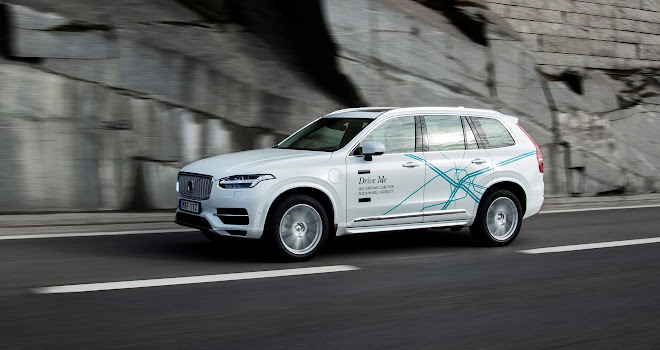 He came from the Volvo side of the partnership, where he was responsible for research and development of advanced safety systems including the company’s pioneering pedestrian detection and emergency braking technology. He’s also an adjunct Professor of technology at Chalmers University in Sweden. GreenMotor: What is Zenuity up to? 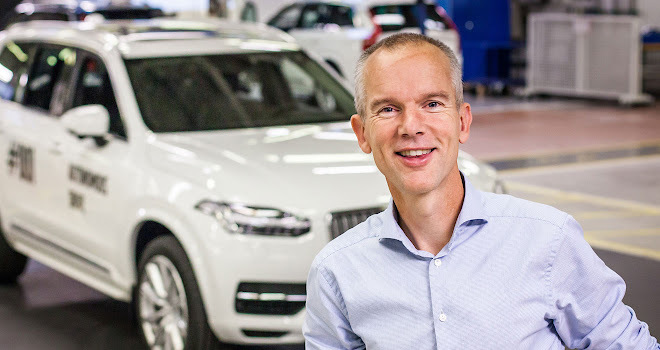 Why have Volvo and Autoliv set up a joint venture? Erik Coelingh: The area of active safety itself is undergoing a revolution. Things are moving extremely fast at the moment. Autoliv and Volvo Cars are both large industrial companies focused on hardware, while a lot of innovation is being done in software. So by creating this new joint venture we have a very agile, fast moving company developing software for active safety systems, adaptive cruise control, lane keeping aids and collision avoidance systems, but also a complete software stack for self-driving cars. We do everything from computer vision to decision making and path planning, vehicle control and everything in between – even software at the back end, in the cloud. I’m involved in the next generation of active safety functions as well as self-driving car development. For example we are exploring how we can use communication links and cloud technology to improve active safety by letting cars communicate with each other. That’s a big field of innovation. 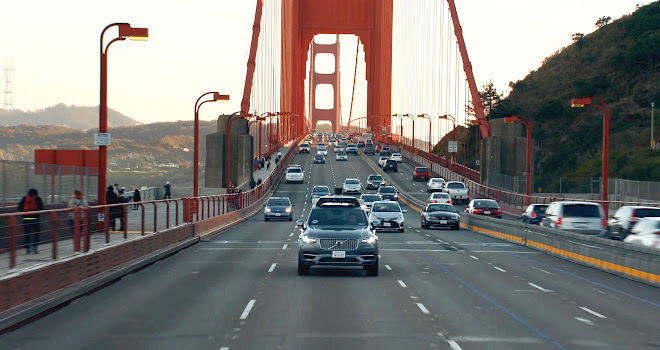 I think almost all cars will eventually be connected to the cloud even if they’re not driving autonomously. They can share information if there’s been an accident, if hazard warning lights are on, if there’s hard braking going on. If you know where it’s happening and in which direction of traffic, you can inform other road users beforehand. Q: Some people talk as if self-driving cars are just around the corner. As an expert in this field, what’s your view? I think autonomous vehicles are around the corner; we’ll start to see them within a couple of years. But they won’t replace traditional traffic all at once. It will be quite a long period – decades – before we see self-driving cars everywhere and all the time. I expect we’ll see two types of self-driving cars. There will be the robo-taxi, without a steering wheel, operating downtown in larger cities, because it’s an efficient and cheap way to operate. It’s more like a form of public transportation than privately owned, and might even be publicly owned as well. Then there will be privately owned cars used to bring kids to school, to go shopping, to go on summer holiday. You’ll sometimes drive yourself and sometimes it will drive autonomously, and it’s up to you, as the driver, to make that choice. Both of these vehicles will work fine on certain roads and in certain weather conditions and in certain traffic conditions. I’m pretty sure we won’t see self-driving cars running in a snowstorm any time soon, but if the weather is OK, on good roads and traffic conditions are not exceptional, then those cars can cope. And we’ll see growth of more locations and weather types, but it will take decades before we will see full operation everywhere and always. Q: Is it realistic to propose self-driving cars where a human is expected to monitor the road and take over in an emergency? We’ve done some testing with self driving cars, where we’d put the car in a sudden unexpected situation. People are just not prepared for it. If the car drives by itself for 30 seconds, then people turn around and start doing something else. They stop paying attention. So you cannot expect a human to take over immediately. That is not going to work. That is not a safe solution. I can imagine that the driver takes over, but only in certain situations. Certainly not in a highly dynamic situation, but at the other end of the spectrum, when the car has come to a safe stop. Then you can ask the driver to take over. This approach brings a lot of consequences – you have to make sure that the autonomous vehicle has redundant solutions for a lot of things. For example, you need to have redundant brake actuators because if one fails you cannot expect the driver to immediately use muscle power to stop the car. The same is true for steering and battery power and sensing and a lot of other stuff as well. 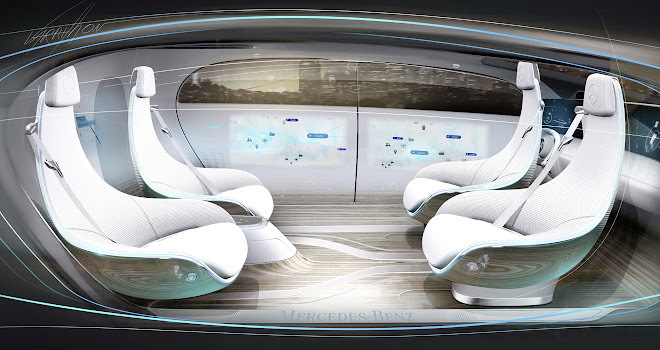 Q: Many proposed designs from manufacturers such as Daimler and Volkswagen Group preview lounge-like interiors with fold-out steering wheels. Do you think this is a practical approach? Absolutely. Drivers need some time to adjust before they can take over, and that time is probably longer than it takes to fold out a steering wheel, or fold away a screen, or pull up a seat into an upright position. You can also think of it the other way around. Before you allow the driver to do something, you have to make sure that they are ready. That is really a big challenge. As soon as you’ve solved the technical problem of making sure the car is always safe, and you don’t need the driver as a backup, then suddenly all this interior stuff opens up with swivelling seats and big screens and foldaway steering wheels. I think that’s something that the end customer would like to have and therefore I think we are moving in that direction and will get there. But safety is always important. 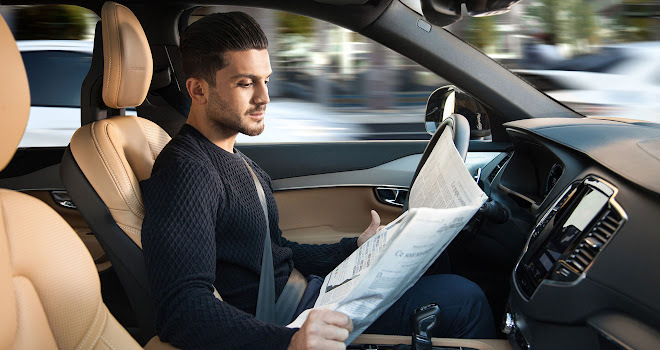 Self driving cars will be designed in such a way that the accident risk will be extremely low, but as long as there is mixed traffic there will be the risk of getting into an accident. So we will still need restraints – airbags and belts – even in a lounge interior. And probably we need new types of restraints. If you want people to be able to lie down in an AV, you will have to do some innovation in terms of seatbelts.